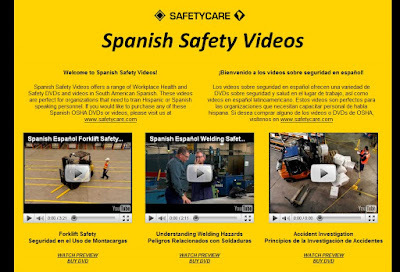 Safetycare is proud to announce that http://www.spanishsafetyvideos.com/ is now live! We have 12 workplace safety DVDs available in Latin American Spanish, with more on the way. If you have a need to train Hispanic or Spanish personnel, please visit us and preview our range or Spanish Safety videos. Amazing Top Down Human MRI Time Lapse Video!